One issue critics have raised in the states where voters have legalized marijuana involves the danger of kids being exposed to marijuana use. The question many have asked is: Are kids in states where marijuana is legal more likely to use cannabis? State laws that regulate the sale and possession of marijuana and cannabis products “seem to be working,” said study leader Dr. Silvia Martins, according to WebMD. While use of marijuana and the “perceived availability” of marijuana is up, it’s only among those 26 years old and older. Martins works as an associate professor of epidemiology at Columbia University’s Mailman School of Public Health in New York City. The study looked at annual national surveys about marijuana use from 2004-2013. Those surveys include responses from almost 54,000 people over the age of 12. The Columbia University study wanted to focus specially on 10 states that legalized medicinal marijuana between 2005 and 2013. They are Arizona, Connecticut, Delaware, Illinois, Massachusetts, Michigan, New Hampshire, New Jersey, New Mexico and Rhode Island. The study found that marijuana use did not increase among those under the age of 26. Martins said two contributing reasons are the fact that illegal recreational marijuana is now harder to find. Additionally, most of the people seeking medical marijuana prescriptions are those with ailments that affect older people. The percentage of people using marijuana did go up slightly among other age groups. The percentage of 26- to 39-year-olds who reported using cannabis within the last month grew from 9 percent to 10 percent. The biggest jump came from those between 40 and 64, an increase from 4.5 percent to 6 percent. For those over 65, the number rose from half a percent to one percent. The study findings seem to undermine the argument that legalizing marijuana can lead to more underage people using cannabis. If anything, there appears to have been little change across all spectrums, other than the 40- to 64-year-old demographic. Of course, common sense regulations and parenting also come into play in areas where marijuana has been legalized. For example, in Colorado, a recent law now requires a stamp on all edible marijuana products, in part to keep children from accidentally eating one. Dr. Joseph Sakai, an associate professor at the University of Colorado’s School of Medicine, told WebMD that studies cannot capture all the factors involved with marijuana use among younger people. “If it is true that marijuana use is increasing in adult populations, it will be interesting to see if this has any impact on the rearing environment for kids in those families,” Sakai said. He also pointed out that parents’ attitudes toward marijuana might “demystify” marijuana. Thus, making it not as attractive to some kids. Legalization of marijuana will continue to spread across the country. This means more states will allow citizens to use and possess marijuana. Because of this, expect more studies on the changing patterns of marijuana use. But as of now, with the Columbia University study, these changes apparently have had no effect on marijuana use among kids. 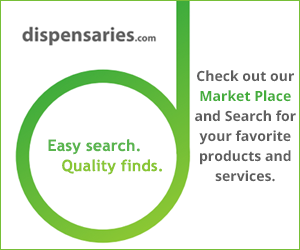 Where Can I Buy Cannabis In California?